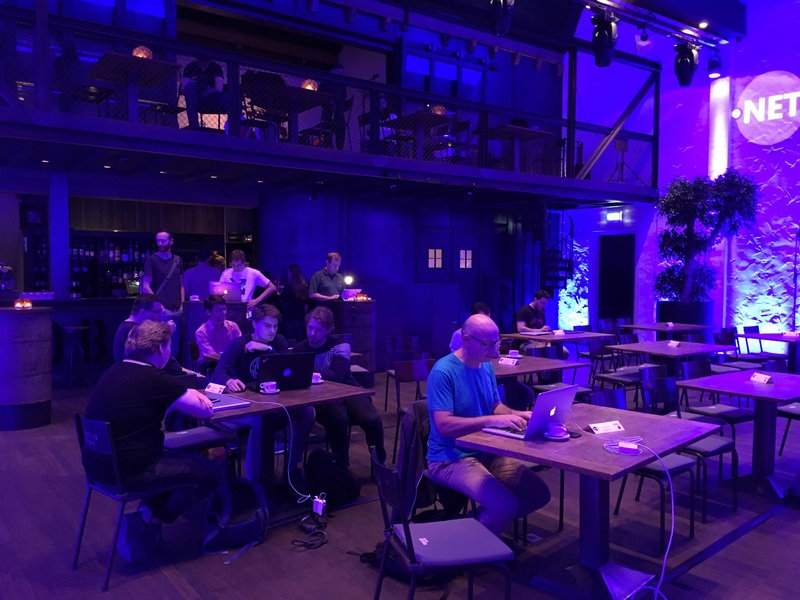 This past Saturday, September 2nd, we hosted the MvvmCross & Xamarin HackDay at the TOBACCO Theater in Amsterdam. Generously co-sponsored by the .NET Foundation and Microsoft, it acted as the closing event of the two-week MvvmCross .NET Summer Hackfest, as well as an event to introduce Xamarin and MvvmCross to new developers. Attendees were greeted by a red carpet at the venue, which had an industrial look and feel, but still felt warm and welcoming. 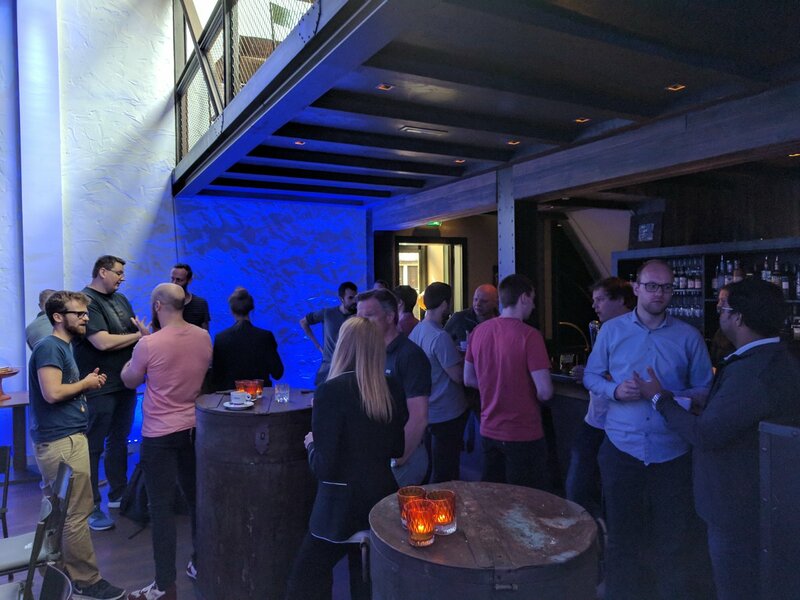 There was a great turnout of Xamarin and MvvmCross developers, with some speakers and participants flying in from places such as Denmark, Switzerland and as far as Argentina! 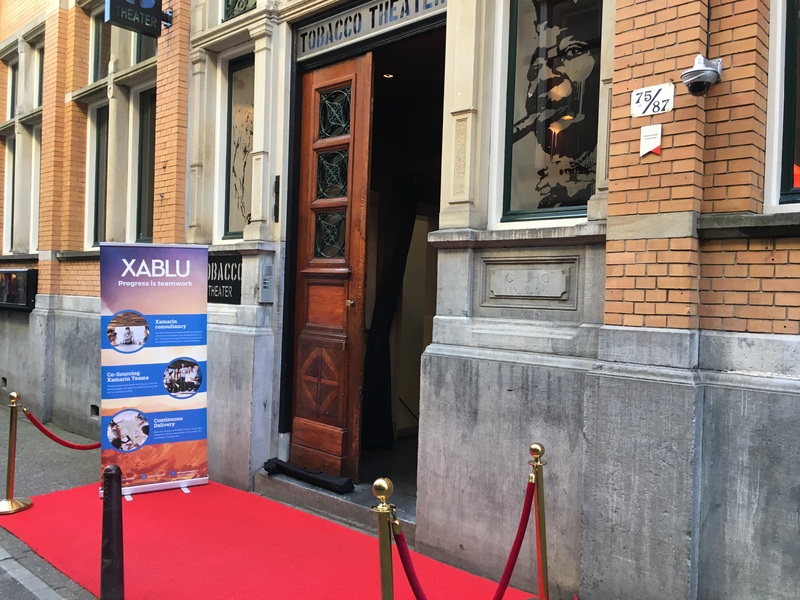 The day started off with an introduction and keynote by Xablu developers Marc Bruins and Martijn van Dijk, who are also part of the core MvvmCross team. They outlined the roadmap for the project and its new core goal: to become THE MVVM framework used in .NET and Xamarin development! Four lightning talks then followed, two by top MvvmCross contributors Nico Milcoff (on View Presenters) and Tomasz Cielecki (on Custom Bindings), and two by leading Xamarin experts from Microsoft, Mike James (on Connected Apps in Azure) and Laurent Bugnion (on Azure Functions), and were all enthusiastically appreciated by attendees. With the level of excitement in the room raised, it was then time to kick-off the hackathon, which saw attendees evenly divided into two groups. The first group was made up of developers new to Xamarin and MvvmCross, who had the rare opportunity to learn directly from Mike James and Laurent Bugnion. The second group was made up of existing MvvmCross contributors and this group quickly put their heads down and got to work on open issues within the open source project. The result was 11 pull requests by the end of the afternoon, including new documentation on data binding and the .NET Standard, bringing the total to 57 pull requests made during the two-week Hackfest. Finally, after all the hard work, it was time for a relaxed drink and socializing to close off the HackDay. Get a visual look at the day in the timeline below!